New construction roofing requires a great deal of organization, knowledge and skill, even more than the roof repair and maintenance required on an existing home or apartment complex in the Denver Metro area. Installing roof and gutter in the new construction residential home market or the new construction apartment market takes a tremendous amount of manpower in the field and coordination in the roofing contractors office to keep up with a builders schedule while still supplying the QUALITY buy cytotec generic that the builder requires. You should TRUST in an organization that has a proven track record of successful jobs completed in the Denver Boulder corridor. Residential tract home construction along with new apartment complex construction is a dynamic part of the Colorado economy. When you are considering starting a new job, be it a custom home in Cherry Hills, or a new home subdivision in Highlands Ranch, how about new apartments in Fort Collins or Colorado Springs, always consider Campbell Beard Roofing for all of you residential roofing and waterproofing needs. When you contract with Campbell Beard Roofing to install a roof on your new construction project you will have the PEACE OF MIND knowing that only the finest materials will be used on your residential project. Campbell Beard Roofing is a full service residential roofing company that has the ability to supply and install a wide range of different materials on homes and apartment complexes throughout the Denver metro area and the mountain communities of Colorado. One of the first processes that a developer goes through is the pre planning and budgeting process, Campbell Beard Roofing can help you through this process by supplying accurate and realistic budget numbers on a variety of products to include concrete tile roofs, standing seam metal roofs and a variety of gutter and downspout products, architectural shingles and a variety of waterproofing options for breezeways and balconies. When making a decision on what residential roofing contractor to do business with several things should come up in the conversation. Can I TRUST that this roofing contractors work is of the QUALITY that we require? Will this roofing contractor have the INTEGRITY to honor it’s warranty, will he be here in the future if I need him? Yes, Campbell Beard Roofing is a QUALITY oriented roofing contractor, we work today for the same companies that we worked for fifteen years ago and plan on doing so in the future. A company only gets that kind of commitment from a customer if the customer is a happy and satisfied customer. Campbell Beard Roofing has been serving the state of Colorado since 1995. Our work area stretches from Colorado Springs to Fort Collins, Bennet to Greely, Breckenridge and Dillion to Cherry Hills, and Boulder to Westminster. We provide residential roofing services everywhere including the Vail Valley and Loveland. Our commitment is to our customer, our customer’s make our reputation. When deciding what kind of a roofing product is best suited for your project you should call a local roofing contractor that has the knowledge and experience for your type of project. 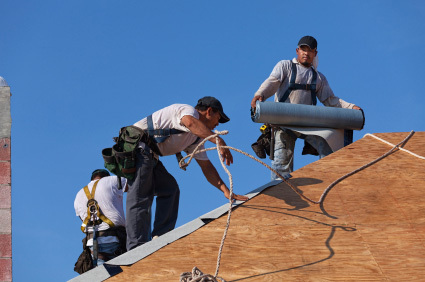 Campbell Beard Roofing has the experience and knowledge to assist you in this endeavor. Campbell Beard Roofing’s past portfolio of work throughout Colorado includes large custom homes featuring a combination of select concrete tile colors and standing seam metal roofs in various colors. We also feature large apartment complexes with a combination of Concrete Tile or Architectural Shingles and a variety of waterproofing options for your balconies and breezeways. Campbell Beard Roofing will always strive to offer the best of roofing services to our customers.